If you need Bosch inverter repairs or it’s time to get it serviced, you only need to make one call. Service My Solar is your one-stop shop for Bosch inverter repairs, warranty or maintenance. We guarantee honest advice and quality workmanship so that you can get back to enjoying solar power sooner. 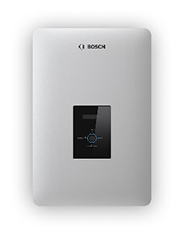 Download Bosch BPT-S inverter warranty. Can’t find your bosch inverter here? Get in touch with our friendly service team and we’ll let you know how we can help. Modern Bosch inverters are a complicated piece of equipment and so it’s essential that they are repaired properly. At Service My Solar, we use a thorough Bosch inverter repairs procedure to ensure your inverter is repaired quickly, correctly and in the most cost-effective way. In most cases, after our specially-trained technicians visit your property and inspect your inverter, they will source replacement parts from the manufacturer, repair the faulty parts themselves or recommend a new system. Call 1300 496 278 to talk to one of our friendly technicians about service and repairs for your Bosch inverter.